Find out what it takes to successfully “finish” a basement’s concrete walls to create a comfortable living space down below. With the cost of living space going up, many homeowners are looking down—creating a “finished” basement—to expand their home’s square footage. This can be an affordable solution to cramped quarters, but a basement’s concrete walls require special attention. Basements are surrounded by soil, allowing moisture to leak through cracks or seep through the concrete itself, resulting in damp or humid conditions. 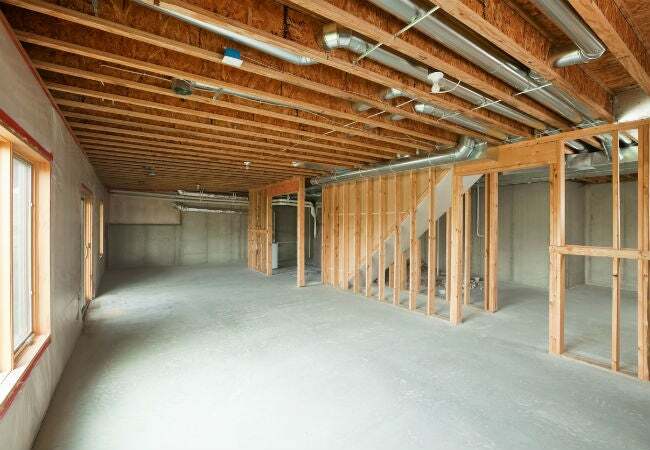 Read on for must-know info on what to do (and not do) when finishing basement walls to achieve quality, comfortable conditions. DO pull a permit before making major changes. While community building rules differ, in general, you will not need a permit just to seal or paint the concrete basement walls. If you’re going to build new walls inside the existing concrete walls, however, and/or run wiring or plumbing in the walls, you probably will need a permit. Because basement remodels are not visible from the curb, some homeowners may consider skipping the permit application, but failure to obtain a permit can result in a number of problems. You may need to pay a steep fine or have to remove the walls if the local building authority finds out. What’s more, not getting a permit can hold up the sale of your home: When prospective buyers discover that your basement doesn’t match the description recorded in the county records, they may be unwilling to make an offer. DON’T finish walls until the basement is dry. Even if your basement walls have no visible cracks or leaks you may still have moisture issues. A simple DIY test will help you to find out. Tape a one-foot by one-foot square of plastic sheeting (plastic kitchen wrap will do) to the concrete wall in your basement with duct tape, and leave it in place for 24 hours. Then remove the tape and examine the sheeting. If condensation is present inside of the plastic, there’s a humidity problem. If the moisture test showed condensation but the walls feel dry to the touch, the solution might be as simple as rolling on a coat of masonry sealant, such as DRYLOK Masonry Waterproofer (available from The Home Depot) on the concrete walls. In some cases, taking steps to keep water away from the foundation, such as installing gutters and downspouts, will reduce basement humidity. For visible leaks and standing water, waterproof your basement walls, which may include filling cracks or having an interior drain installed beneath the floor to direct water from leaks and seepage to a sump pump that will pump the water out. DO use wall construction materials designed for basements. Building new walls inside the existing concrete walls is the standard way of finishing basement walls. Such a project requires a working knowledge of construction, so many homeowners hire a professional carpenter for the job. But if you’ve got the carpentry skills and want to DIY, know that local building codes often require the use of moisture-resistant and rot-resistant building materials in the basement. • Use treated wood if the wood will come into contact with concrete, such as the wood floor plates of framed walls, or wood furring strips that attach directly to basement walls. • Wood treated with alkaline copper quaternary (ACQ), a chemical that reduces rot, will corrode ordinary nails and screws, so all fasteners should be ACQ-compatible. • If installing drywall panels, use moisture- and mildew-resistant drywall. • When insulating concrete basement walls (a good idea because concrete basement walls are often cold), use rigid foam board insulation if the insulation will come into direct contact with the concrete wall. Fiberglass batt insulation can be damaged by moisture. DO make allowances for wiring and pipes in new walls inside concrete walls. If you want to run electricity in your basement wall, local codes will determine how many outlets you must install, and who can install the wiring (usually a licensed electrician). The standard rule here is to run the electrical wire through the ceiling joists above the wall, and then drop wiring down between the wall studs. Existing pipes that run along the inside of concrete basement walls (a common issue) often create another problem. This can be solved by simply leaving the pipe in place and building the new wall just inside the pipe. For example, if the concrete wall has a three-inch drain pipe running along its face, build the new wall 3.5 inches from the concrete wall. You’ll lose those inches in living space, but it’s far simpler and less expensive than rerouting pipes. DON’T forget to install an egress window if you’re adding a bedroom. International Residential Code (IRC) requires the installation of an escape window in all basement bedrooms. The window opening should be a minimum width of 20 inches and at least 24 inches in height. In total, the window should offer 5.7 square feet of escape space, and the bottom of the window must be no higher than 44 inches off the floor. Installing an egress window involves excavating the soil away from the foundation, cutting through the basement wall, and installing the window and a window well, making it possible for a person to climb out. 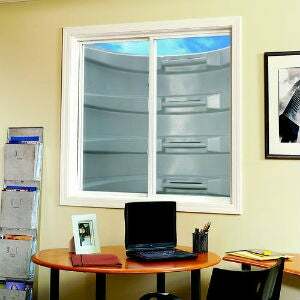 Window well systems, such as this Modular Egress Window Well System (available from Menards) come with both the window and the surround needed to provide a safe exit from the basement bedroom. DON’T build “tip up” walls if the concrete floor is out of level. The most common way of building a new wall is to construct it on the floor and then tip it up and attach it. That’s not the best way, however, if constructing a wall in a basement where the concrete floor is out of level, because the wall may be too high or too low in spots when tipped up. A better way is to first attach the top plate to the ceiling joists and then install the bottom plate to the concrete floor. After the plates are in place, measure and cut each vertical stud individually. This will give you a wall that fits perfectly. It’s a little slower, but you’ll get an exact fit. DO consider a modular basement wall system for a more DIY-friendly alternative. You really need good carpentry skills to construct finished basement walls in the traditional way described above. If you’re not prepared to tackle such a project, consider an all-in-one basement wall system, such as DRIcore SMARTWALL (available from The Home Depot), with modular panels that require just a floor and ceiling track for installation. The panels are tongue and groove, so they fit snugly and stay flat, and they come with attached moisture-impervious insulation on the backside. Once installed, the panels can be painted, and you can install crown molding and baseboard for a finished look. The cost to finish your walls with DRIcore panels runs about $1.70 per square foot. 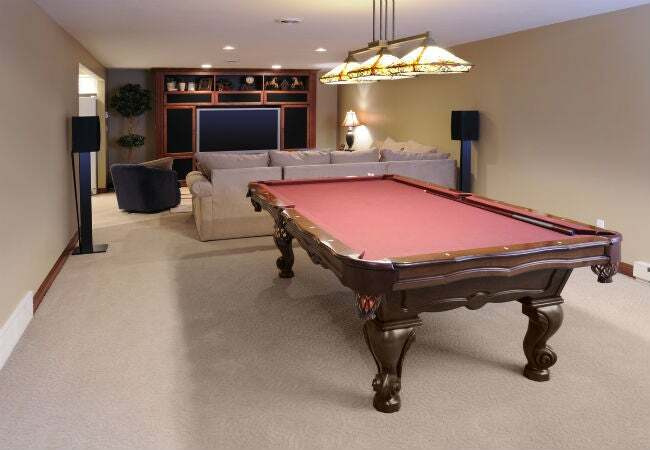 DON’T overlook professionally installed basement finishing systems. While any competent general contractor or carpenter can install traditional walls, as discussed above, homeowners do have another option. 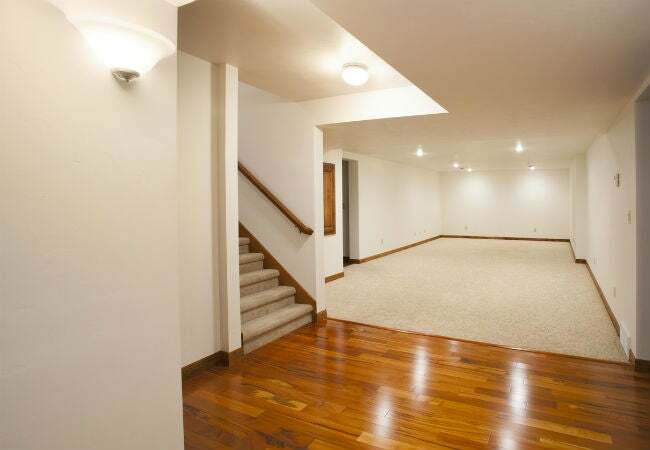 Basement finishing systems, such as this one manufactured by Owens Corning, offer a complete basement solution that includes wall panels, which can be removed later if needed to access wiring or plumbing. The panels are mold and mildew resistant, and they damper sound as well. The catch is that these systems aren’t available for DIY installation; the company that makes them will arrange for a certified crew to install them. A professionally installed Owens Corning basement system could run as much as $30,000, but keep in mind that they finish the entire basement to above-grade quality, including installing flooring and ceiling materials.